No branch can bear fruit without being vitally united to the vine. As you can see, my niece, Sarah was visiting. She now comes for her visits equipped with a painting “smock” aka Dad’s old T-Shirt. Sarah likes her colors to be vibrant, I refilled her paint tray four or five times, because she just saturates the paper with paint. 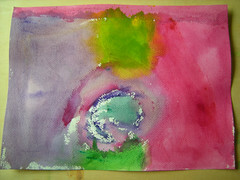 Of course, I am a biased Auntie and thinks she did a pretty cool painting. 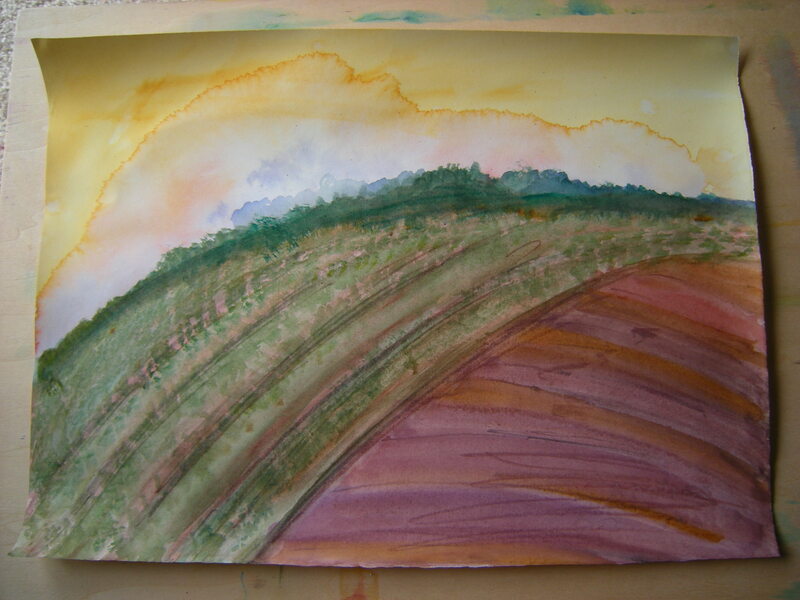 While she did three paintings, taking two of them home with her, I was working on one painting. For awhile now, I have been trying to paint a landscape that I like…however, everyone that knows me, knows I am extremely critical and picky. And lately, the art books on my shelf just aren’t helping me figure out what else I should be doing…so I ordered a new one. 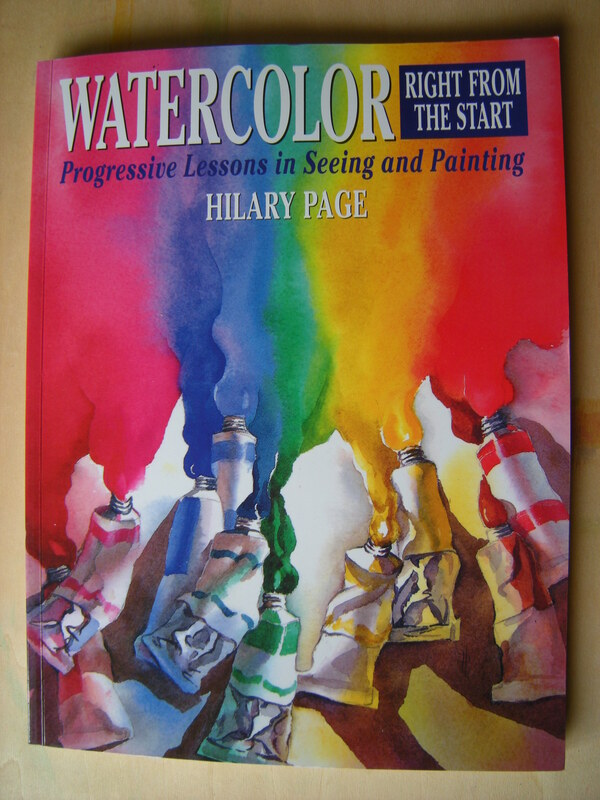 Another is the book I received, “Watercolor Right From the Start” by Hilary Page. I have her excellent book on pigments, so when I saw this one, I knew it would be good. 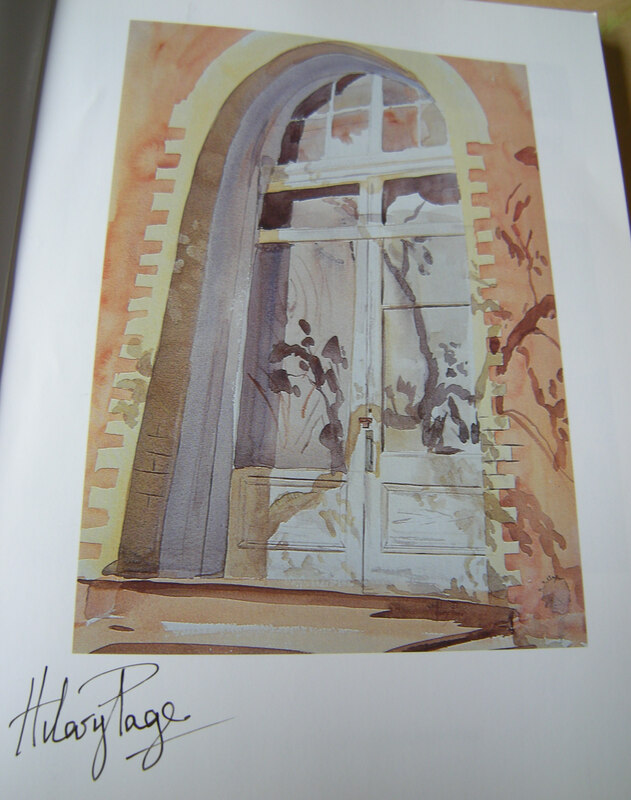 And then the surprise part, when I received the book and opened it up, I discovered that it was signed by Hilary herself! As always, you can click on the pix to biggify.